>> Is a Crossbow Considered a Firearm? Because a crossbow is a fairly complex tool. The debate arises because it doesn’t match the definition of a firearm, yet it holds the power of one. Whether it’s legally considered a firearm will depend on the state and country you find yourself in and even then it’s a gray area. Whether your circle of people or you yourself consider it a firearm may be a completely different conclusion, drawn from how it’s used or other factors that matter to you. Why Would Anyone Ask This? We usually think of firearms as guns - in fact, the ﻿﻿﻿﻿﻿Merriam﻿﻿-Webste﻿r ﻿﻿﻿Dictionar﻿y defines “firearm” as “a weapon from which a shot is discharged using gunpowder.” A crossbow doesn’t use gunpowder, so if we’re talking about a literal definition, we can stop here. 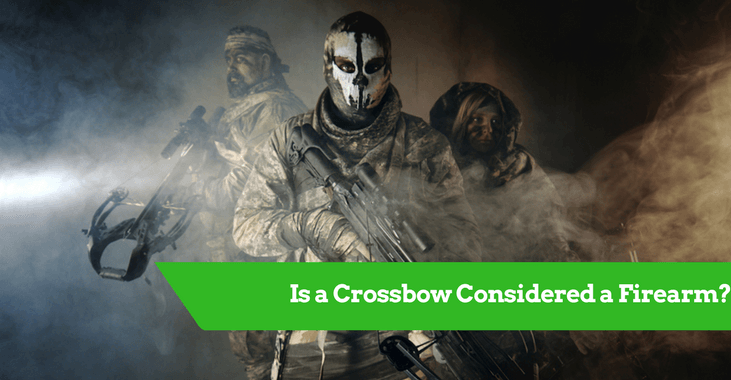 A crossbow is considered a weapon, but by this definition we wouldn’t consider it a firearm. It based on the traditional composite bow - but the debate arises because the horizontal bow assembly is mounted on a handheld frame that is similar to a gunstock. It shoots with a great deal of force a weapon - not a bullet, not an arrow, but something similar to an arrow called a bolt or quarrel. It’s shorter and more powerful than a standard arrow, with a square head. Now we get into the real gray area. Most likely if you really need to know the answer to this question, it’s because of legal ramifications - but this isn’t particularly up for debate so it’s not usually a hot topic of conversation. If you want to know if your crossbow is a firearm by legal definition, and what that means for you, you’ll have to look it up depending on your location. 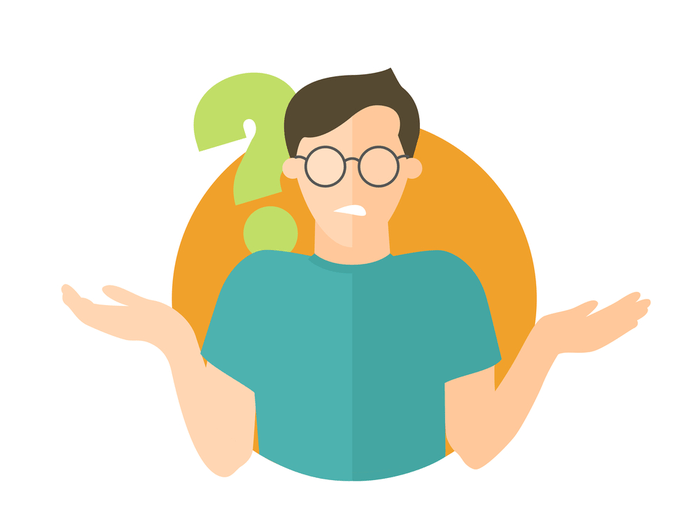 It varies significantly from state to state and country to country - and there are surprising details you need to be aware of. 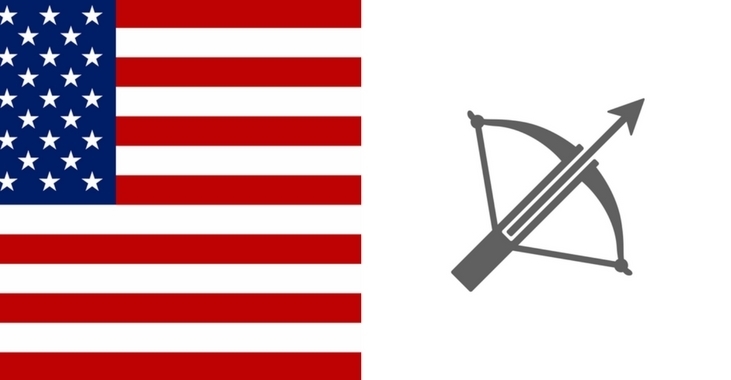 European countries are much more strict about the definition of crossbows are weapons, but even that isn’t a universal truth, and the United States and Canada tend to be more lax, with the United States, in particular, leaving the definitions and enforcement up to individual states. Most states allow crossbows during hunting season. Each region varies though. During archery season, most states will permit crossbows and in eleven states they’re legal during firearm season too. 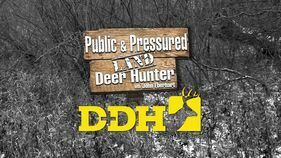 In some states, they are only legal for disabled hunters or on private property, for certain types of animals (especially deer), or require specific licenses and permits. Oregon is the only state in the United States of America where crossbows are illegal entirely. Canada has regulations that are pretty flexible, but not as much so as the United States. 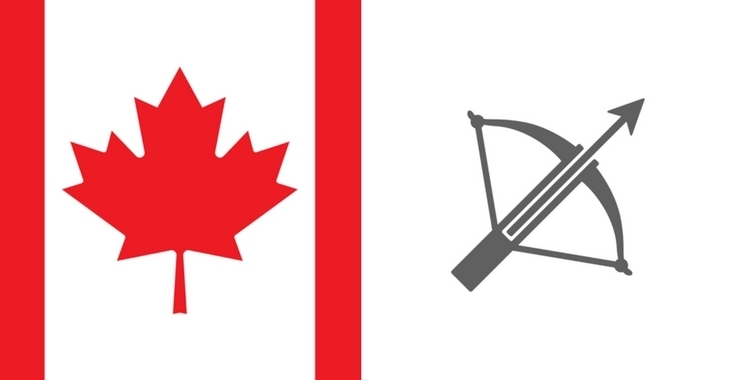 The Firearms Act III has a few regulations prohibiting some bows, if they are 500 mm or less, and if they can be aimed and fired using only one hand. If you want to own other types of bows, you will not need a ﻿license ﻿or certificate to use them. But you should check on your area’s laws for bow hunting before using them for specific purposes which may be banned; hunting restrictions differ from province to province. The countries of Europe tend to be more restrictive, but they also vary widely. 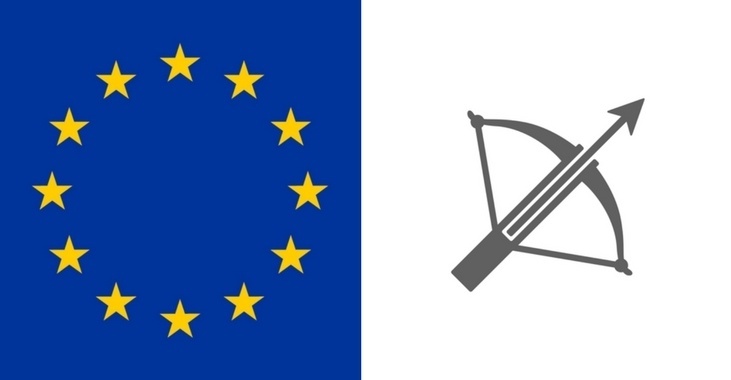 For example, Bulgaria, Finland, and Germany all allow crossbows while banning their use in hunting and fishing, with Germany having a few other technicalities. Many other countries fall more or less in this category while each has minor specifics that differ. The Czech Republic does not ban or regulate them because of their power, but Denmark bans them outright. The United Kingdom has a more lax approach similar to the North American continent regulations. Here crossbows can be purchased and owned, but in most states require special licensure. Pistol crossbows are more strictly controlled due to being easily concealable, and there are strict transport rules. 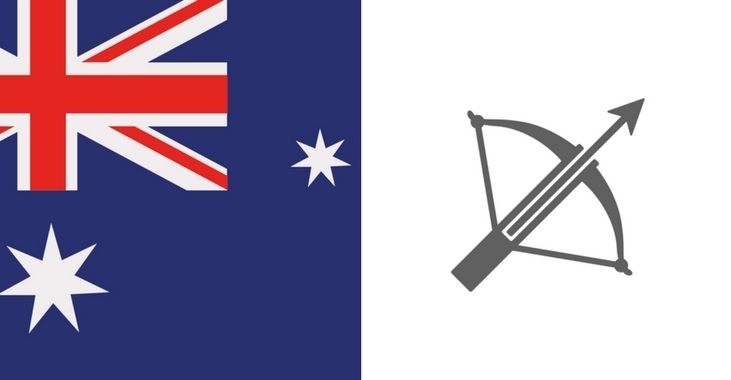 Because Australia attempts to control the use of unauthorized, unlicensed imported bows. If you have been into crossbows for a while now, you probably already know most of the regulations for your area. However, these are updated somewhat often and should be checked up on every now and then. Staying up to date is made a lot easier by being involved in the community, whether that is online communities or those you interact with in real life at your practice range. In the United States, every state will have a website regarding firearm regulations and will make note of crossbows as appropriate. Any updates will also make their way into your community if you have any ranges you practice at. Be sure to follow steps to a T, including any background checks that may be needed before legally owning a crossbow (which would be an issue when buying from eBay, for example, where you can grab the bow and go). If you plan to travel to a new state with your bow, then you need to check their regulations, as well as any for the states you are traveling through or if you are on an airline. This can be a big issue for some travelers and you may find yourself unpleasantly surprised if you don’t check thoroughly beforehand. Most airlines will allow crossbows in the baggage area﻿ or sometimes as a carry-on if you do not bring arrows (if you want to avoid all of that, you can ship your bow ahead of your departure) in the best bow case. If you have any crossbow-using friends in the area, be sure to ask them if they know about any regulations and check crossbow laws by state for information. If you have a license or registration for your crossbow then be sure to bring it with you to help smooth possible processes, but do be aware an out of state license is likely, not transferable to the one you are visiting. Always keep your bow safely packed away to avoid problems or bring extra attention, and keep any license or registrations you may have stored in an easy access area. Crossbows are high on the list of a hunter’s favorite tools, and for good reason. Due to their power, there is some safety concern among the general public. 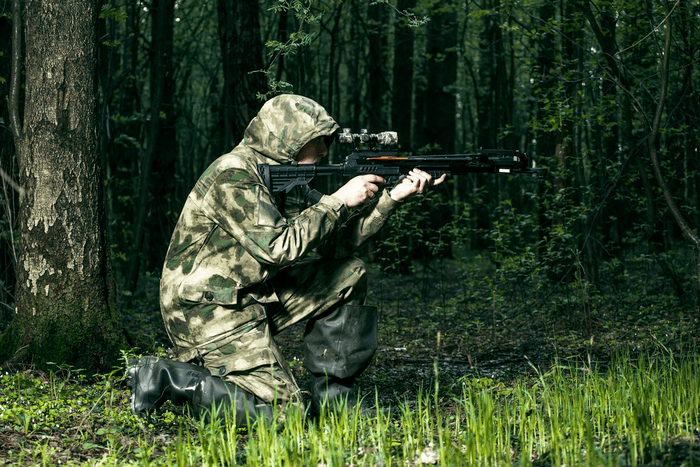 Within the United States, many states allow the use of crossbows for hunting purposes, and all but Oregon are likely to have areas you may practice at. Checking your region’s regulations regarding crossbows is very important for the safety and ease of use of your crossbow, and there are serious travel considerations. So is a crossbow considered a firearm? By standard definitions, it isn’t, but legally it may be regulated or prohibited as if it were one.